Blog - Celebrating Thanksgiving with Your Pets! 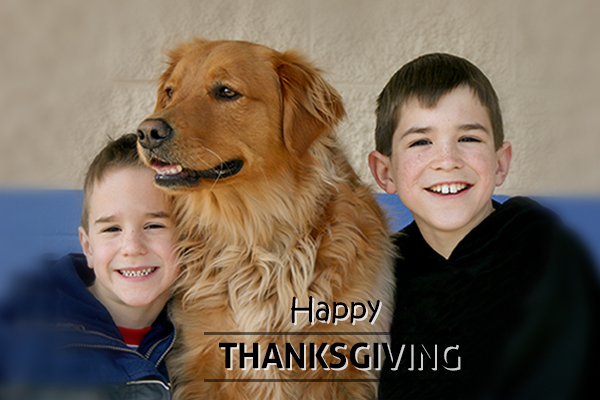 from Richell USA, Inc.
Home >> Blog >> Pet and Dog Care >> Celebrating Thanksgiving with Your Pets! Celebrating Thanksgiving with Your Pets! No Bread Dough: When a dog or cat ingests raw bread dough, the yeast continues to convert the sugars in the dough to carbon dioxide and alcohol. This can result in secondary hypoglycemia (low blood sugar), a bloated pet or even alcohol poisoning, which could become a life-threatening emergency, requiring hospitalization. No Cake Batter: Be sure your pets keep their noses out of the batter, especially if it includes raw eggs – they could contain salmonella bacteria that may lead to food poisoning (quoted from ASPCA.org). 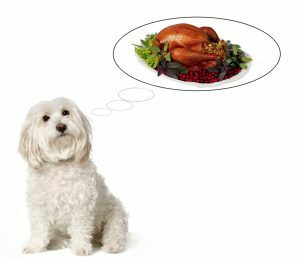 No Turkey Skins: Having butter, oil, salt & pepper, herbs and spices on turkey skin is a recipe for unpleasant digestive problems in dogs. The worst case scenario is over-stimulation and inflammation of the pancreas, which can result in life-threatening pancreatitis. Miniature Schnauzers, Yorkshire Terriers and Shetland Sheepdogs are especially susceptible to pancreatitis according to the Pet Health Network. Also, onions and garlic in stuffing are potentially toxic in large quantities! No Turkey Bones: Poultry bones, especially cooked poultry bones, are brittle. They could cause mouth and tongue injuries, obstruct the throat or intestinal tract, or bone fragments could pierce the lining of the stomach and/or intestine (quoted from AKC.org). Feeding your dog or cat small quantities of boneless, cooked turkey and other safe table scraps such as salmon, mashed potatoes, bread, vegetables, cheese, plain stuffing or a lick of pumpkin pie, shouldn’t pose a problem according to ASPCA. Mixing these Thanksgiving treats in with reduced portions of their regular food will further aid their digestion. 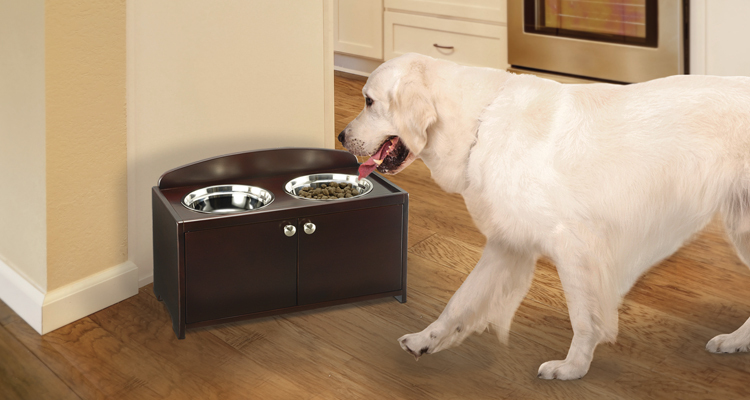 And to make Thanksgiving dinner even more special for your pets, these treats can be served in Richell’s brand-new Elegant Wooden Pet Feeder!